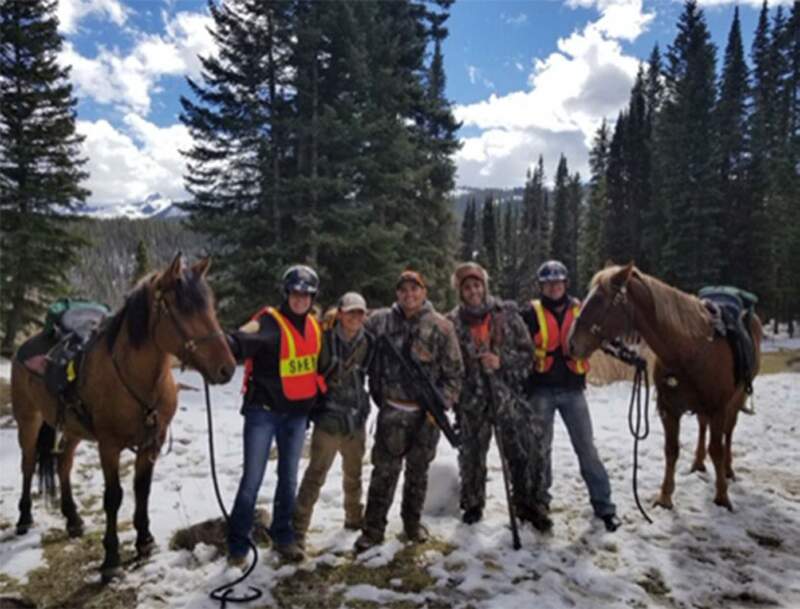 The Montezuma County Sheriff Mounted Patrol unit pose with three hunters they helped rescue in Bear Creek on Oct. 22. The hunters spent an unplanned night in the canyon after running out of daylight while following an elk. 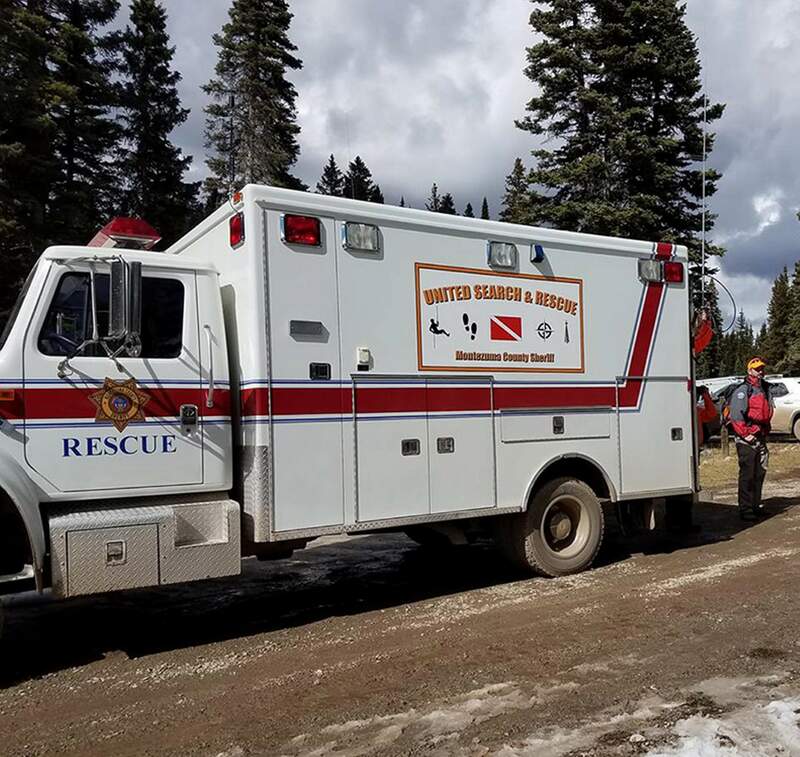 The hunters, who are from Phoenix, went in on the Gold Run Trail Oct. 21 and failed to arrive at a rendezvous point that evening, said Montezuma County Sheriff Steve Nowlin.